Frances Hajduk ,88, formerly of Venus, PA., died at 6:30 A.M. Tuesday Nov. 20, 2018 at Oil City Healthcare and Rehab after suffering from dementia for many years. Born Jan. 9, 1930 in Oil City, PA., Frances was the daughter of the late Alex & Maria Biedrzycki Swacha. Frances attended Assumption B.V.M. School and was a graduate of Oil City High School. She was married on July 18, 1948 in the Assumption B.V.M. Church to Frank S. “Tex” Hajduk and he preceded her in death on July 23, 2006. Mrs. Hajduk had worked for the Card Factory in Reno for many years and later at Riverside Market where she worked in the bakery. She was a member of the Assumption B.V.M. Church. 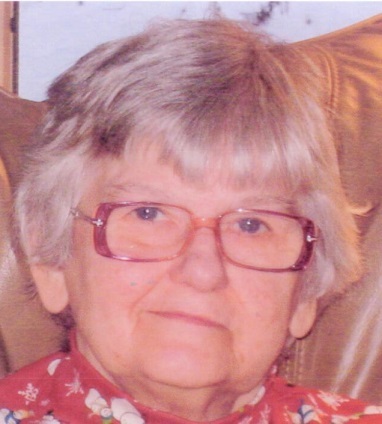 Frances enjoyed sewing, bowling, walking, gardening and playing cards. Friends will be received from 6-8 P.M. Tuesday in the Reinsel Funeral Home. Funeral Services will be held at 11:00 A.M. Wednesday in the Funeral Home with Rev. Ian McElrath, Presiding. The family would like to send special thanks to the staff at Oil City Healthcare & Rehab and to Kindred Hospice, for their loving care.